Yesterday we viewed the Race Walk course. The LOC has made a few last minute changes that will make everyone’s experience better. Tomorrow will tell the real tale. 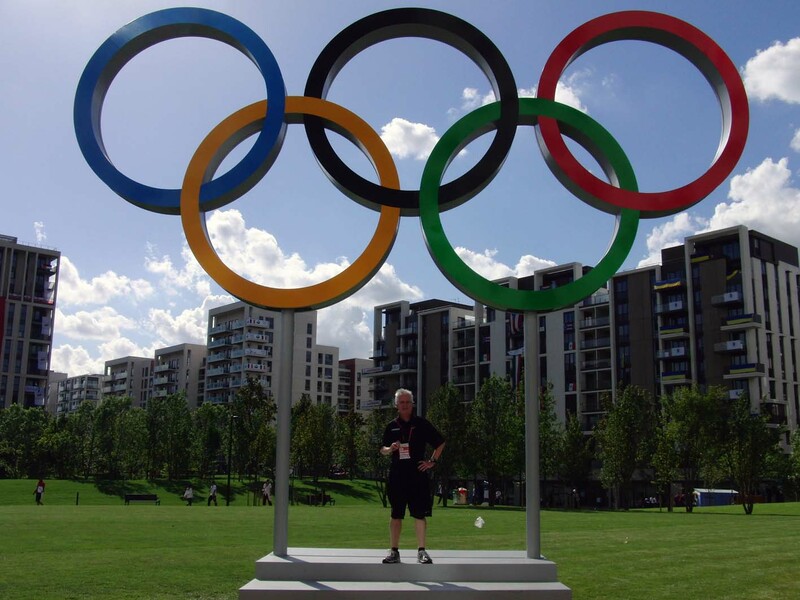 For today we spent out time in the Olympic Athlete Village. Today was a very restful day. Light preparation, watching the first day of Athletics, eating, hydrating and taking care of last minute details. Here’s a quick tour for you. After going through several layers of very pleasant but very officious security and a short walk you come upon the Canadian residence building. 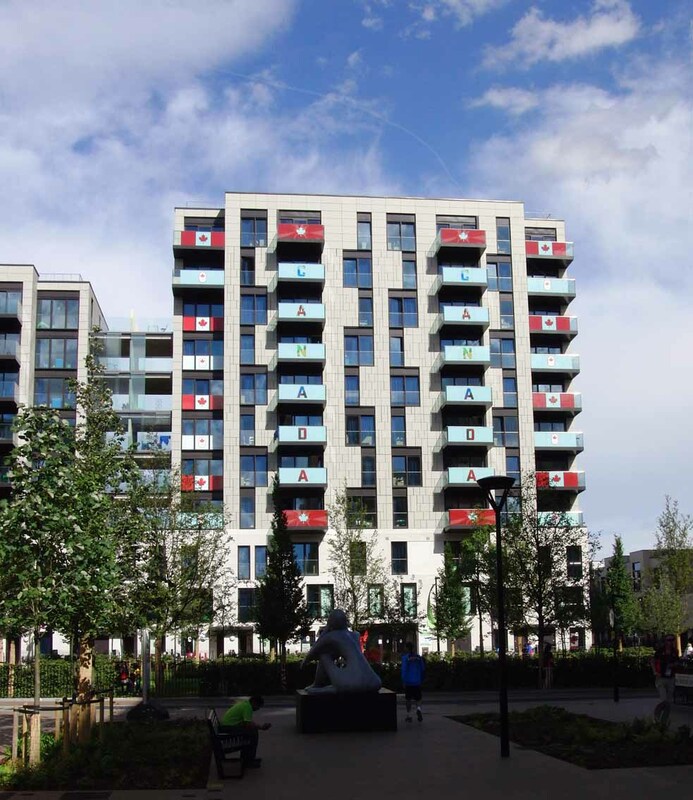 The village is very closely modelled after the Vancouver Olympic Village. All of the housing is destined to become private condos once the Olympics are finished. Let’s hope that they have better luck with the sales than we did. Tomorrow we finally get to do what we do what we’ve come here to do , details to follow. We made the move from St, Moritz Switzerland to Kamen, Germany via Europe’s superb train system. 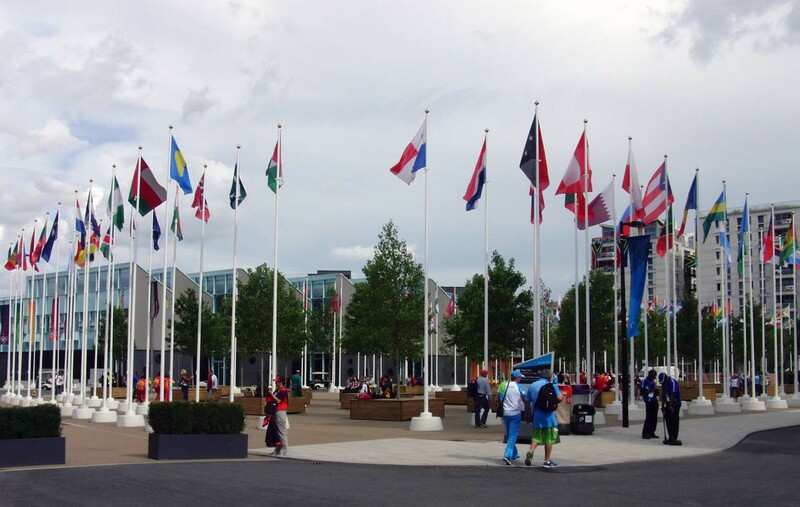 Inaki made a short side trip to London to get his credentials and to familiarise with the Olympic Village. We made a short side trip to Berlin to spend a day cycling around this wonderful city. The following day we met up at the Sportcentrum in Kamen. The life of a high performance ahtlete is not all hard work and our stay in Kamen proved that quite graphically. Every need was taken care of. The only hardship, if it can be called that, was slow and intermittent internet connections. Kamen is a small rural town about an hour away by train from Dussledorf. 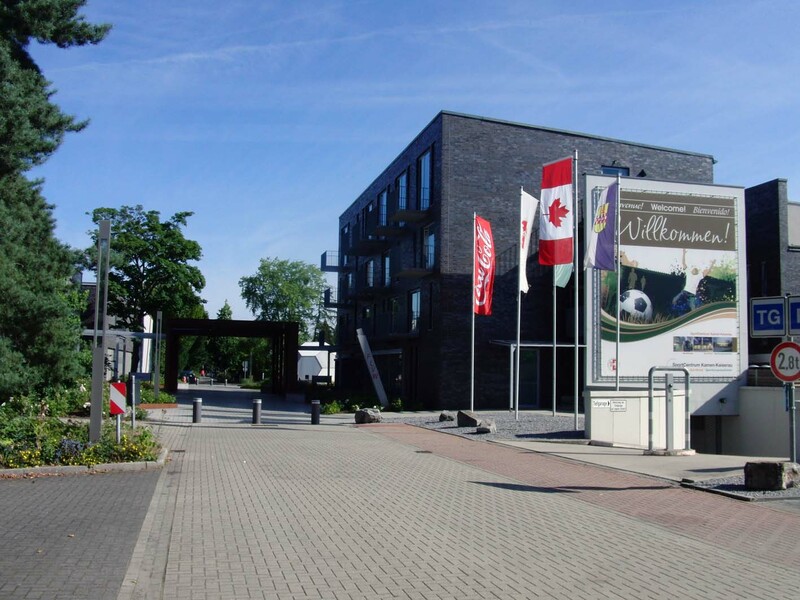 We had great food, very comfortable accommodations, lots of care from the medical and therapy staff, great training facilities and interesting places in the countryside to work out. There was some hard work done by Inaki at the training camp but it was focused and concentrated on high quality preparation for his race on August 4th. We had a relatively poor workout in one of two attempts to test race fitness. The day was quite humid and Inaki was still feeling the effects of adjusting to the lower altitude. Rather than stress over this setback we regrouped, rearranged our schedule and put in another competition readiness workout in two days time. 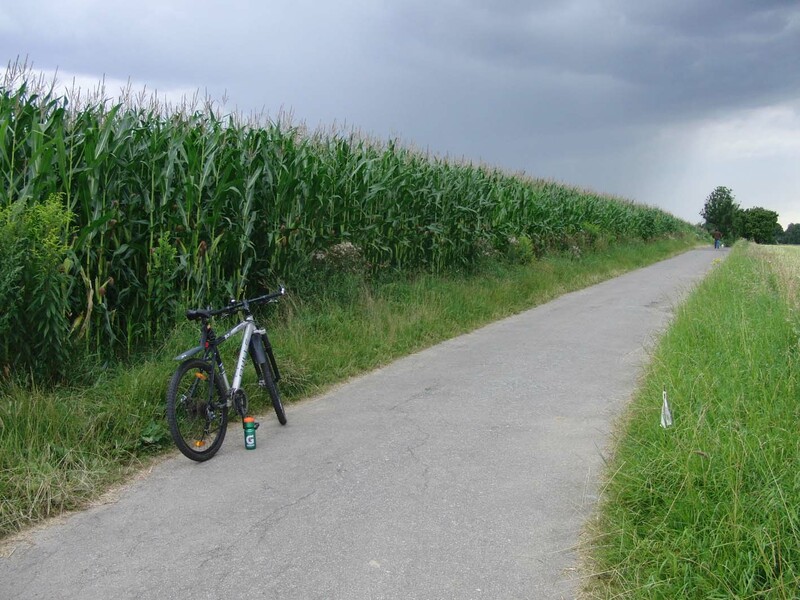 Rather than use the track on site as we did last time, this time we went out into the countryside and measured out a course on some paved bike trials that ran through rye and corn fields. This time everything was right. Inaki worked hard to go slow enough to stay within race pace. Each repetition was better than the last. Inaki did this in spite of several unplanned events. When we had measured the route the day before there was no one else around and there was nothing else aside from the rye and corn waving in the breeze. The day of the workout was different. First, there was poop all over the road, the farmers were fertilising prior to harrowing their fallow fields. Then the farmer needed to drive his tractor and poop wagon on the paved path forcing a showdown between Ianki and the tractor (Inaki won). 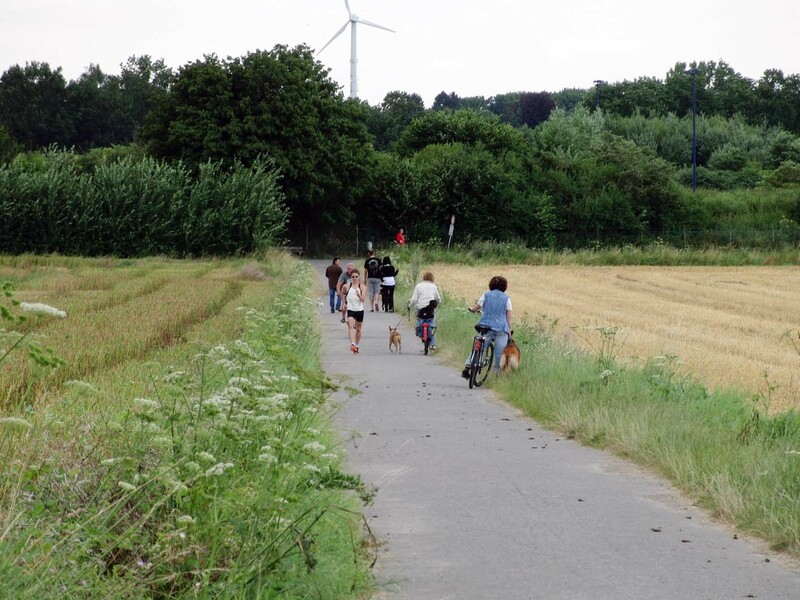 Then it was dog walking time and most of the local dog/owner pairs came out to walk on the bike path. None of this made us miss a beat until a massive thunder storm moved in and started its deluge with less than 500m left in the workout. With near gale force winds blowing in our faces and rain coming down so hard that it was filling up the roads, we made our way back to the Sportcentrum very happy and fully satisfied that we were ready for a fine performance in London. It was now time for the final phase in our preparation. 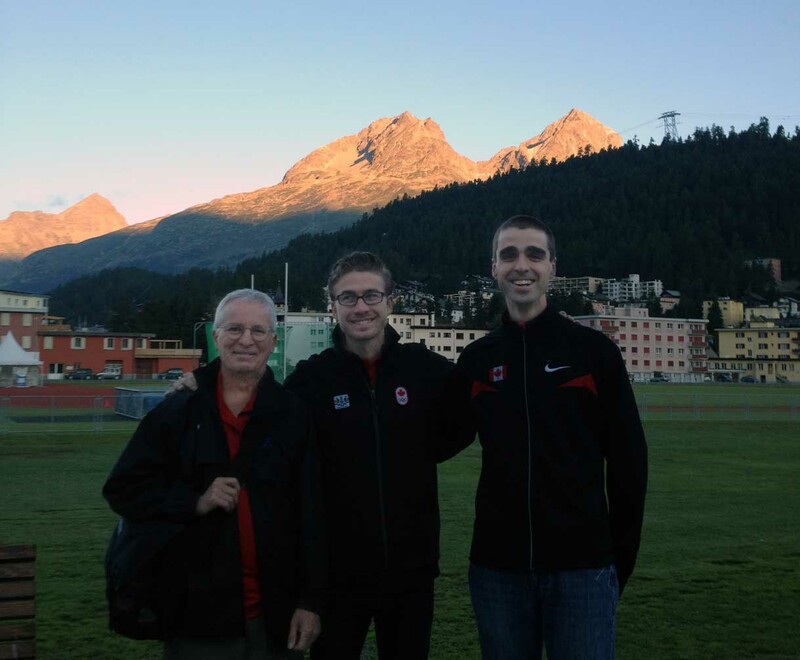 After a challenging early season where Evan never able to show his full capabilities, Evan put it all together for the Men’s 20km walk at the NACAC Championships. It was smart racing that gave Evan the edge. Evan’s main challenger got off to a very fast start in the high altitude, high heat event, stretching his lead to more than 200m at one point. Knowing that 20km is a long distance and that the race is one at the finish line, Evan bided his time and conserved his energy. By the half way point Evan had pulled even with his now struggling competitor. After this point Evan steadily pulled away ending the race with a very convincing margin of victory. 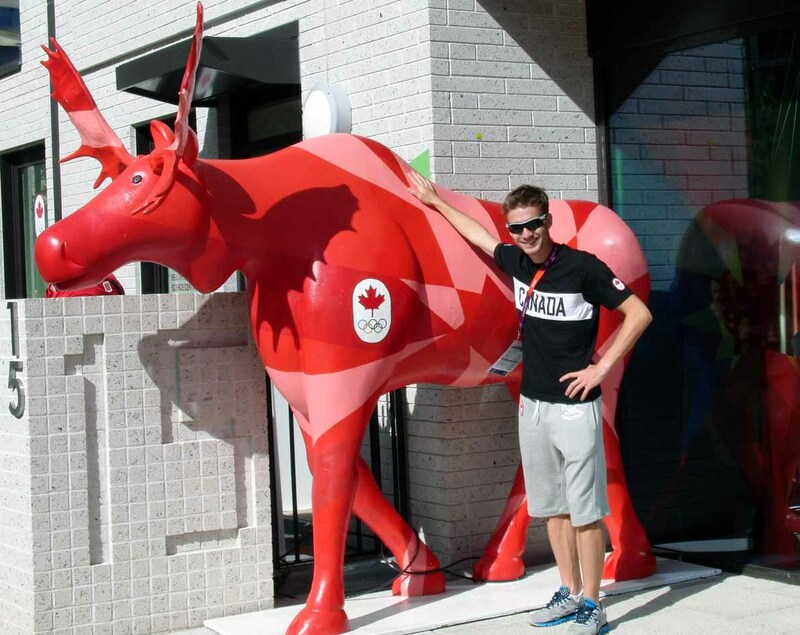 Having the NACAC 20km Championship in his pocket to go along with the collection of Canadian Nationals Championships Evan will now turn his hand to the somewhat more challenging 50km distance. He hopes to debut later this season at the US 50km Trials for next year’s World Championships in Moscow. Three months in the hills of South Central Australia were just what Inaki Gomez needed in order to post the 2nd fastest time ever for a Canandian walker. At the IAAF Challenge event in Taicang, China on March 30 Inaki took 8th place in a time of 1:21:05, just 2 seconds off of the 20km record set by Arturo Huerta in 2000. Inaki has several more excellent chances to better the record this season. Look for him to lead the Canadian team in Saransk, Russia at the World Cup of Race Walking in May and then at the Olympics in London on August 3rd. Evan Dunfee continued to refine and work on his form and race strategy during his race in Taicang. After a superb performance in very difficult conditions in Hobart at the end of February Dunfee was looking forward to conditions more similar to his home town training environment. Taicang provided all of that and more with mid teens temperatures and a full on rainstorm for the duration of the race. After an excellent first half split right on pace for Olympic A standard Evan made a small tactical mistake that magnified itself during the latter stages of the race and cost him both the standard and a significant PB. 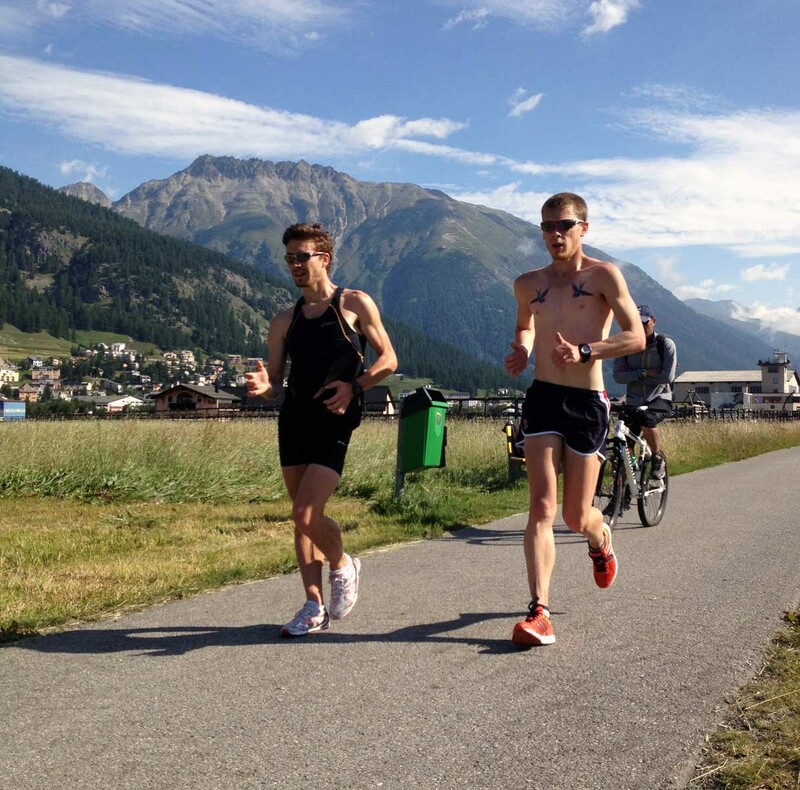 Evan has a few more attempts to refine his race preparation and in-race strategy to enable him to better the standard this season. Russia will be Evan’s next opportunity to gain his ticket to London. While his team mates travel the world Ben Thorne is spending the week at the Canadian Olympic Development Camp in Phoenix. In addition to a week of training in warm (hot) weather Ben is getting exposure to the Olympic Coaches and the full development system. This camp is providing Ben with a solid background for his attempts later this year for the podium at the World Junior Championships in Barcelona in July and then, possibly, the Olympic Games in London. 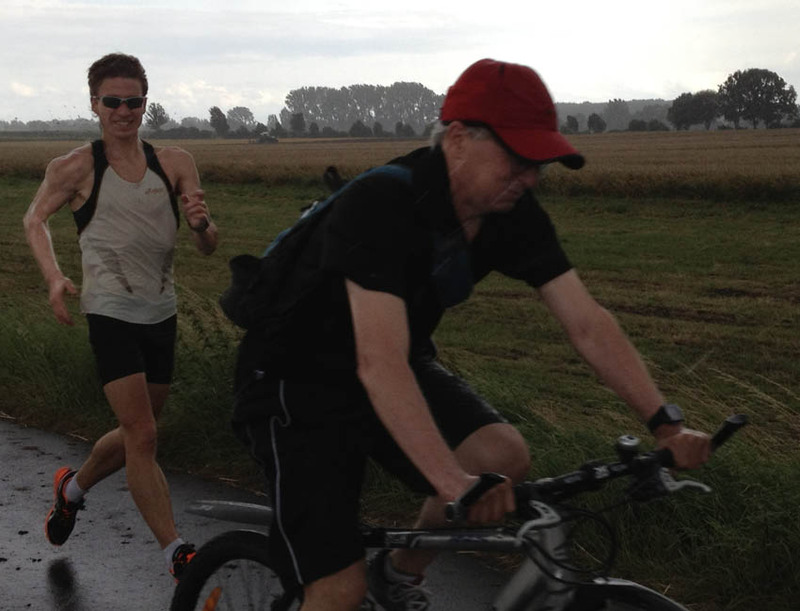 One of the highlights of the week for Ben will be his first 100km plus training week. Vancouver was at her finest for the both the Vancouver Marathon and the Vancouver Race Walk this morning. The two events have been held simultaneous for the past 7 years, making Vancouver one of the hottest places for athletics endurance event variety on the planet. Some very fine performances were logged by BC Junior female and male athletes in the 10km event. Katelynn Ramage produced a very strong 55:38 in her first ever attempt at the distance and Ben Thorne, last year’s surprise find, posted an astounding 47:00 in only his 2nd 10km race ever coming off of very limited road training due to the heavy snow this winter in his home town of Kitimat. A number of personal bests were delivered from other athletes across the age spectrum. Canada’s top men’s 20km duo were unable to register a performance as Gomez pulled up lame at the start line due to a nagging heel irritation and Dunfee dropped from the race after a very solid 15km with a muscle cramp. For us northern climate folk our winter should be a disadvantage over those in more temperate climates. Fortunately for us the concept of Periodisation helps to eliminate our cold weather deficit. 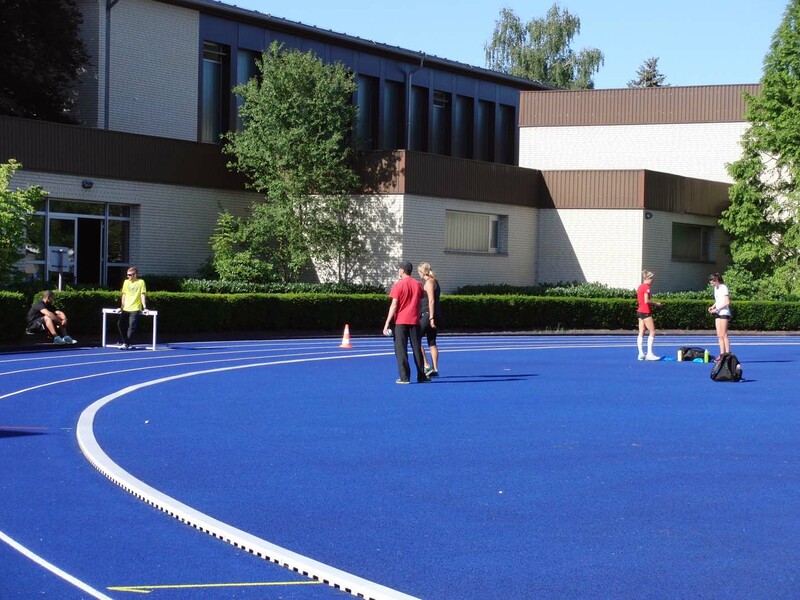 The Periodisation concept for training originated in Eastern Europe. It spread to the rest of the sporting world once proof of its success as a training modality became abundantly clear. The Periodisation concept is based on sound scientific principles and can be adapted to any type of physical training. A reduction in training volume leading up to a major event enhances performance. Based on the above criteria we can define Periodisation as a method that organises training over a defined period taking into account the major factors that influence adaptation. How does this help us northerners? The dark, the cold and the wet (we’re from Vancouver but it now seems to rain everywhere in the winter) tends to do one thing, drive us indoors. Normally this would be a bad thing except that one of the Periodisation criteria is the understanding that some types of training interfere with others. Strength & Conditioning training and Aerobic training definitely interfere with each other. So, while we can’t meet our Aerobic training target we can do very well with a solid Strength & Conditioning program. And, as luck would have it, a comprehensive S&C program should last about as long as the worst part of our winter. Don’t get me wrong, when we get off of our S&C program we’re well behind our temperate climate competitors from an Aerobic standpoint. However, after several weeks of early spring Aerobic work we’re kilometers ahead of our Aerobically fit, and better tanned, but much weaker warm weather walkers. Now get out there and pump that iron!